Have you met Asaph? He was one of the worship leaders appointed by King David. Twelve of the psalms are credited to him or his sons, including #73. Read that particular psalm in a modern translation or paraphrase, and you’ll think Asaph is a present-day poet. He writes about pretentious, arrogant people who wear the latest fashions–how they’re pampered, overfed, and full of hot air. “People actually listen to them—can you believe it?” he complains (vs. 6-10, The Message). Asaph found his attention drawn to these people who seemed to have it made. He lost sight of true reality for a moment–until he refocused on God and his ways. Asaph realized that many who appear confident and successful are actually on a slippery slope toward disaster. They do not know God. These are precious gifts that money cannot buy. God—our constant companion, our perfect guide, our omnipotent strength. Simply affirming such attributes can energize my spirit and provide new resolve. A bit of research revealed that the statement, “My portion forever,” is a metaphor taken from an ancient custom of the Jews. When the patriarch of a family died, they would divide the inheritance among the sons. Each would receive his allotted portion, and have his basic necessities taken care of. The psalmist is proclaiming that GOD is his portion. That portion includes the Lord’s presence, power, strength, peace, joy—all supplied in generous measure. And those are just a few of his many attributes, blessing us with sublime goodness. Unlike the inherited portion of ancient times, all of God’s children receive all of him, not just a part. 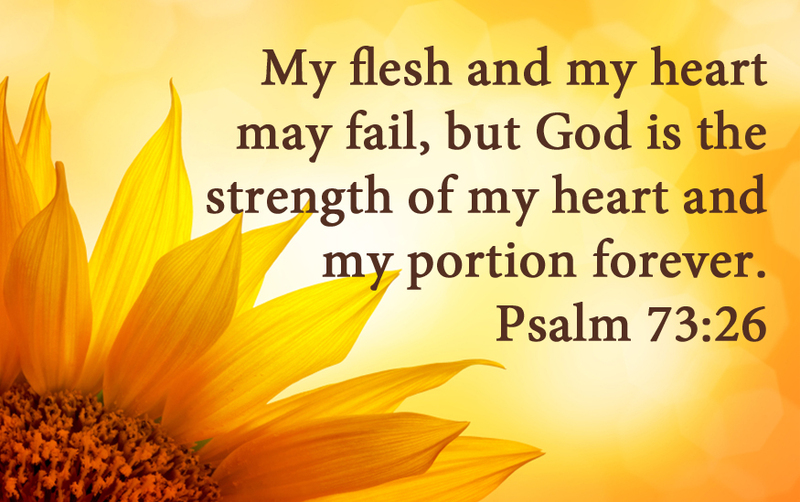 And God as our portion will never diminish. Never could we exhaust all of these attributes. He will be our gracious, caring, empowering Heavenly Father forever. “As for me, it is good to be near God,” the psalmist continued (v. 28). He’s saying, to live with God is good for us. Oh, yes. To rest secure upon him as our foundation is the epitome of peace. To allow him to work through us to fulfill his perfect plan is the essence of fulfillment. To know that heaven awaits is the height of security. God as our portion means complete wholeness and absolute contentment. Who. Could. Want. Anything. More? Like Asaph, Father, I can lose my focus on what is truly important and valuable. Thank you for this timeless psalm that draws me back to you and the splendorous gifts you offer. Thank you for nurturing me so that I may affirm with Asaph: “ Earth has nothing I desire besides you” (v. 25). Amen—so be it. Getting ready to leave the house in the morning is such a chore, isn’t it? The routine of washing, brushing, flossing, primping, rolling (the hair! ), fluffing, spraying, etc. gets SO tiresome. Every day is a fresh start with God (Lamentations 3:22, 23). The Spirit (symbolized by a dove) cleanses and refreshes us, as we keep in step with him (Galatians 5:25). Just those three statements alone are enough to spark an attitude change. I wondered, what might my a.m. toiletry products offer for inspiration? Butterflies dance across the Kleenex box, signifying the beautiful, new life we have in Jesus. Thank you, Lord, for your beautiful gifts of peace, joy, hope, and strength–all because of your presence in my life. “7 in 1 / Complete,” claims my moisturizer. Seven is symbolic of perfection in scripture. In fact, the apostle John mentions the seven spirits of God in the Revelation (5:6). And our God is perfectly complete—in power, wisdom, holiness, and more. When I consider that his complete perfection is lavished upon me, my heart is filled with praise! The Dial hand soap dispenser promises its contents offer deep cleansing. That’s enough to prompt another prayer. Father, cleanse my mind of negativity and impropriety today. Thank you for your generosity of forgiveness and fresh starts. The brand name of the contact solution I use is Replenish, reminding me that every day I need my spirit replenished. Stress, anxiety, and fear can deplete my strength. But praise God, his Spirit of power, love, and self-discipline (2 Timothy 1:7) can equip me to seize the day! 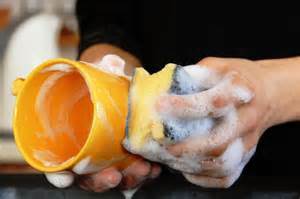 The shower gel includes scents of lemon, grapefruit, freesia and “clean woods.” Each fragrance is delightful and refreshing on its own. And, of course, each one was created by God. Interesting: God not only made beautiful things for us to see, he included scents for us to enjoy. And though there must be thousands, he gave us the capacity to mix them and thereby create millions more. Thank you, Lord, for giving us the ability to create. Not that we can make something out of nothing as you can. But within the parameters you have set, we can design, combine, and build. Thank you for the precious gift of crafting that brings us much joy. Before I knew it, the contacts were in, the face was on, the hair was (fluffed) up. Better yet, my attitude was in check, positivity was turned on, and my heart was looking up. What products do you use whose names or claims have the potential to renew your mind? Share with us your discoveries in the Comment section! But if you Google the phrase, “aging gracefully,” you’ll find a long list of articles about stalling the aging process—on the outside. Eat right, exercise, get seven to eight hours of sleep each night, etc. Where are the essays about becoming more lovely in heart and spirit as the decades pass? No doubt Eleanor was referring to those who have achieved this kind of beauty–those gracious elders who listen, encourage, and speak positively. And I dare say, such folks are most often Christians who have grown in faith and spiritual maturity over the years. Their eyes twinkle from the Light within. And those radiant lines that fan out from the corners? Son-beams. In fact, His name is often on their lips, because their thoughts turn to him so consistently. Jesus is an intimate Friend. In addition, the joy of the Lord is their strength—perhaps not in body, but in soul. 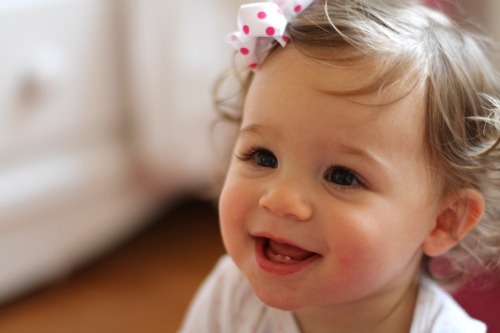 It shows in a delightful sense of humor and frequent smiles. Joy is also expressed in continual gratitude and praise. These dear ones learned self-discipline along the way. Those ugly traits of bitterness, complaining and negativity are nowhere in sight. And never do you have to endure a long soliloquy that begins, “Back when I was young…”, that goes on about how much better or tougher life was decades ago. 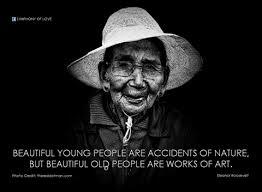 Wise elders realize the value of influence, and the power of positive memories for the younger generations. They know that integrity and faith are best taught through example—examples that live on long after the elders graduated to heaven. And as such saints delight in God and minister to others, they discover contentment—even as aches, pains, and deficiencies overtake their bodies. They are true masterpieces, according to the definition: outstanding, superlative, ingenious works of art. Masterpieces don’t just happen; they are the result of: 1) informed skill, 2) extended time, and 3) concentrated effort. Similarly, beautiful seniors are the result of: 1) living by Biblical principles, 2) trusting in God day after day, and 3) practicing his presence moment by moment. Father, thank you for taking up your paintbrushes and paints to create a pure and beautiful spirit within me (Psalm 51:10). But it’s also true I must be a willing and active participant. May I not lose heart and invite your Spirit to refresh me every day. May I be mindful that “what is seen [like outward beauty] is temporary, but what is unseen [a pure heart] is eternal (2 Corinthians 5:16-18). May I be focused on the latter. Let me take a wild guess here. You are waiting for something. Either a prayer to be answered, a need to be met, or an event to take place. Of course you are. Waiting is a part of life. But why? God could intervene sooner than later if he wanted to. Why the delay? Because particular blessings result from wait-time. You’ll find several of them itemized in a previous post: “The Blessings of Wait Time” (October 10, 2013). You can click on it below. But recently I came across an addendum that grabbed my attention; perhaps you’ll find it noteworthy too. 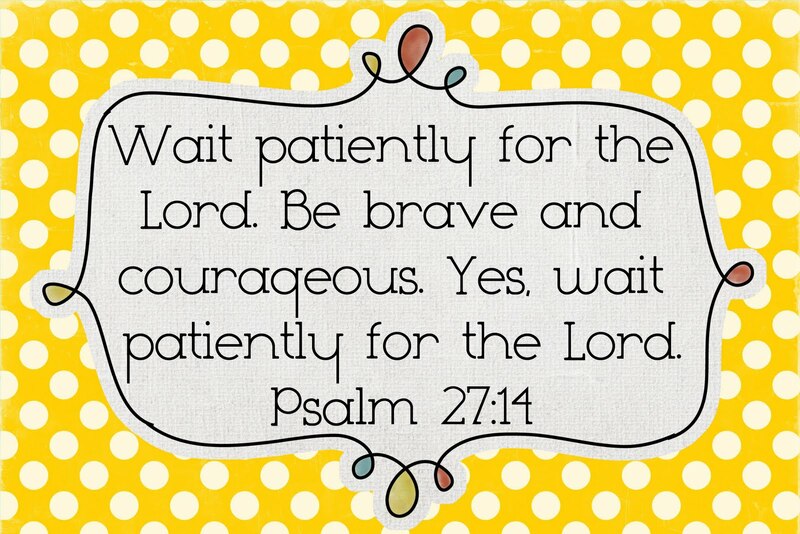 First, you’re probably familiar with the instruction of Psalm 27:14 and other scriptures that tell us to wait on the Lord. Gives the verse a new layer of meaning, doesn’t it. 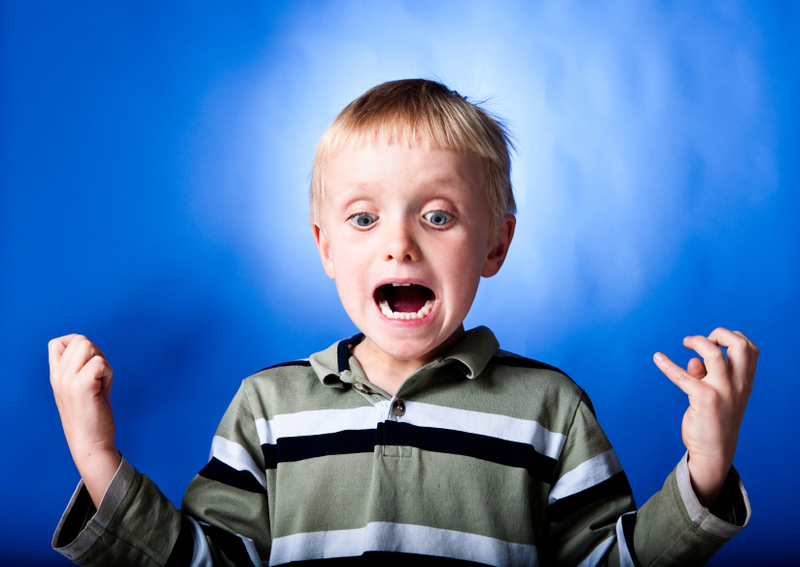 I’m thinking of an anxious child, waiting not-so-patiently for the moment aunts, uncles, and especially young cousins will arrive on a summer Saturday. How he looks forward to the table heaped with picnic fare, the games of tag and hide-and-seek, and perhaps Marco Polo in the pool. “When will they get here?” he pines — again. “All in good time,” Dad responds while preparing the grill. Do you remember being that child? Your very insides were jumping around with pent-up excitement. Maybe your outsides were jumpy, too. Sitting still was an impossibility. You wanted the fun to begin NOW. Did you wonder, How can Dad be so calm? We weren’t quite wise enough to recognize Dad’s vantage point of experience. He knew that highly anticipated events do eventually happen, and anxiety does not speed up the process. Dad could relax, enjoying the peace and quiet perhaps, before the whirlwind of relatives descended. Is it possible that such a scenario describes (in part) the way our all-knowing, all-powerful Heavenly Father looks at our circumstances? He knows exactly when each prayer will be answered, when each need will be met, when each anticipated event will occur. So calmly and leisurely he waits until the time is just right. Perhaps God is waiting until we’re ready to receive what he has planned. Might a little more spiritual maturity be in order? Perhaps others are involved and he’s engineering circumstances to meet several purposes all at once. Joseph was released from prison at just the precise moment Egypt would need his God-inspired wisdom and leadership. Oh, Father, I don’t want to be like an immature, restless child who cannot be patient. Instead, may I “tarry in your leisure” –resting in your sovereignty and trusting in your timing — implicitly. I want to hope, anticipate, and endure as evidence of ever-growing faith. Bottom line: I want to please you. And, without faith, I know that is impossible (Hebrews 11:6). Behind our new home stand many large trees that border a small creek. 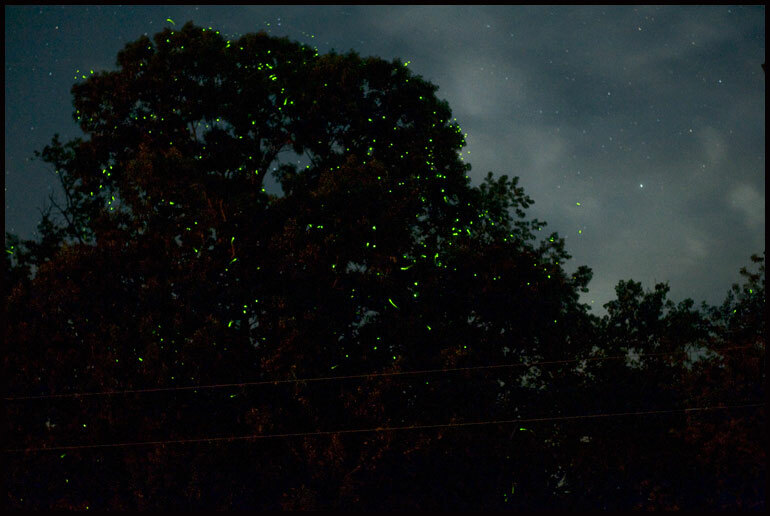 As the sun goes down, fireflies rise from the grass and slowly soar higher and higher until the trees appear decorated for Christmas. Hundreds of glimmering lights sparkle against the deep dark of night. God’s creative handiwork, right in our own backyard. On the Fourth of July our family attended the local Independence Day parade. While waiting for the festivities to begin, a young boy seated next to us chatted with me every now and then. We both studied the wisp of vapor for a moment. “It’s disappearing already,” he added. Together we witnessed the last visible curl evaporate away. My attention returned to people-watching. Sure enough, the water droplets had regathered themselves. It was then I noticed a phenomenon that I’d missed before. In the area of that little cloud was a faint veil of fog, barely visible. Millions, perhaps billions of water droplets were suspended there all along. The boy and I only noticed them when they drew together in a dense gathering. 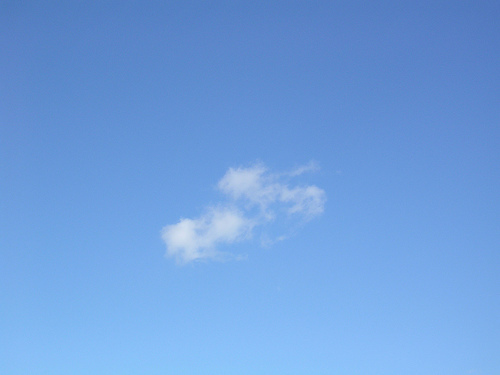 Watching the cloud reform, the boy exclaimed, “Cool!” Cool indeed. God’s ingenious engineering of the elements, right above the street. God’s love expressed to me through my loving husband, right there in our kitchen. Our toddler granddaughter loves the swings at the park. “Weeee!” she squeals with each push. For her it’s a new, exciting delight. Actually, Elena’s days are filled with new discoveries: the ping-sound of a metal post when struck with a stick, the mystery of bubbles that disappear with a touch, the slow, spiral dance of a dropped feather. Her eyes sparkle; her smiles and laughter indicate intense pleasure. God’s gift of joy on display right in our own family. And paying attention to all of these manifestations makes me more aware of his presence. And awareness of his presence changes my heart. Stress gives way to peace, tedium gives way to joy, striving gives way to contentment, fear gives way to consolation. And surely God must smile when we live aware and celebrate his gracious provision. I praise you, Father, for reminding me of your active, loving presence throughout each day, everywhere I go — even at a parade. Thank you for ministering to my needs, assuaging my fears, comforting my hurts, and giving me joy. What a gracious God you are! If I asked you, “What’s the most popular flower?”, you’d probably get the answer right. It’s the rose. 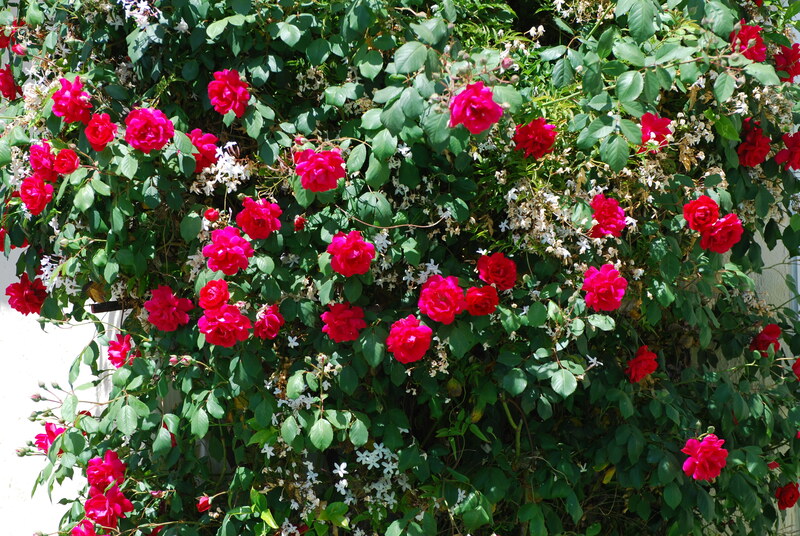 En masse on the bush, they provide a striking sight—dozens of large blooms framed by dark green leaves. But most of us can’t pass by a rose-bush without leaning in close to view the soft petals, and breathe in the singular scent. To study a blossom up close enhances our appreciation. We notice the varying colors, the delicate curl of each petal, the intricate, spiraling pattern. Our sense of wonder increases the more we gaze. 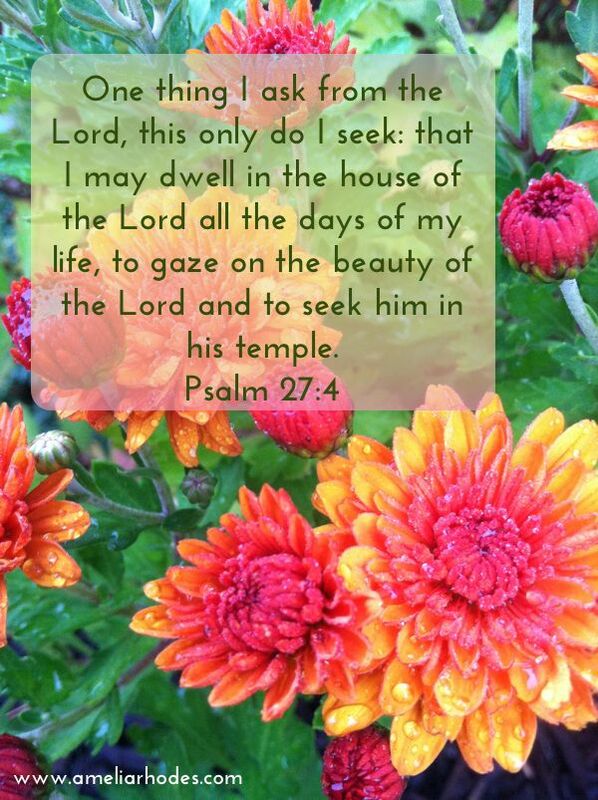 (“One thing I ask of the Lord, this is what I seek: that I may dwell in the house of the Lord all the days of my life to gaze upon the beauty of the Lord and to seek him in his temple” (Psalm 27:4). But how can we gaze upon an invisible God? By contemplating all his glorious attributes. One commentator described the beauty of the Lord as the harmony of his perfections. I like that. 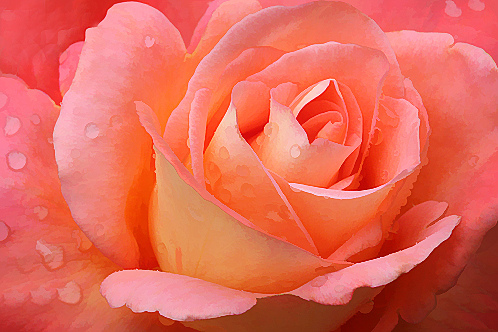 Just as the petals of a rose create a harmony of color, pattern, symmetry, and form, so the traits of our holy God manifest a harmony of perfect grace, holiness, triunity, and power. 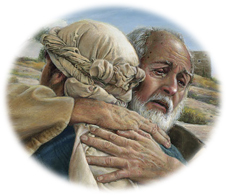 God’s beautiful grace becomes visible in the story of the prodigal son, as we witness the father actually running to welcome his wayward son home. He throws his arms around the filthy youth, even kissing him (Luke 15:11-20). … ”Seated on the Throne, suffused in gem hues of amber and flame with a nimbus of emerald…Lightning flash and thunder crash pulsed from the Throne. Seven fire-blazing torches fronted the Throne (these are the Sevenfold Spirit of God)” — vs. 3-5, The Message. God the Father bestows all spiritual blessings upon us (v.3). God the Son provided redemption and forgiveness of our sin (v.7). God the Spirit guarantees our inheritance in heaven and gives us assurance (vs. 13b-14). And God’s magnificent power is on display throughout scripture and creation, even in our personal lives. Our Heavenly Father is a God of infinite wisdom, unfailing guidance, strong empowerment, attentive care, competent help, rich blessings, and more. (“Who among the god is like you, O Lord? 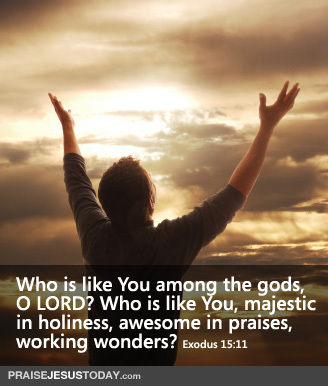 Who is like you–majestic in holiness, awesome in glory, working wonders?” — Exodus 15:11). My heart fills with wonder and praise, O Lord, because you are a beautiful, holy God. No one is your equal in power, wisdom, creativity, splendor, or love. No one else is perfect in all he does. And you, in all your holy glory are My. Heavenly. Father. Such statements are too glorious to comprehend! But oh, how grateful I am that they are true. “The Lord is my Shepherd; I shall not want” (Psalm 23:1, KJV). So we prayed for new bicycles, the latest gadgets, and swimming pools in our backyards—absolutely certain that if God gave us these heart desires, we’d be completely satisfied. Some of our prayers were answered affirmatively. A new bicycle with sparkling spokes actually materialized under the Christmas tree. Or Aunt Louise heard the pleas for Mattell’s Magical Music Thing, and sent it as a birthday gift. 1. When one desire is fulfilled, another quickly takes its place. 2. God isn’t in the business of making wishes come true. Some desires become reality; some do not. If he did provide our every whim, we’d become spoiled and self-centered. Now there’s an attitude of devotion to cultivate! How can we become that contented? One place to begin is with gratitude and praise. Think of all we enjoy as a result of our relationship with God. Peace, joy, and provision, quickly come to mind. Companionship with a perfect Friend—every moment of every day–into eternity. He is always listening, always watchful, always diligent. Hope. No situation is beyond the abilities of our Almighty God. Settledness, because he is in control, and “makes good things even out of hard times” (Erica Hale). Truth. We don’t have to muddle through life like a do-it-yourselfer with no instruction manual. “The unfolding of [God’s] words gives light; it gives understanding to the simple” (Psalm 119:130). No possession or position, no person, and no place will fill our hearts with satisfaction. Peaceful, joyful contentment is the outcome of one determination: affirming that in God we have all we need. Perhaps Jesus was teaching us the way to contentment when he said, “Come to me, all you who are weary and burdened, and I will give you rest” (Matthew 11:28). Are you weary of the dissatisfaction that results from striving for the next desire? Are you burdened by unfulfilled wishes and dreams? Come to Jesus. Count the scores of blessings he has already provided in the past, is currently providing this very moment, and has already prepared in the glory of heaven yet to come! Rest in contented gratitude and praise–free from want. What helps you rest in contented gratitude? Please share in the Comments section below!